Snow is coming to Orange County at Discovery Cube OC, so bundle up and experiment with ramps and friction, while enjoying all-day snow play and tubing at Winter Wonderfest. Experience a lesson in physics as you whoosh down a huge 75-foot ramp on inflatable tubes. But, where do you move the fastest — near the top or bottom? Find other frosty delights in the snow play area, where snowmen are under icy construction with the help of your imagination! Sledding down a snow-covered hill is part of the snow-filled festival, too. Slip your hands in some mittens and dig deeper into this brrr-illiant topic. Winter Wonderfest is fun for the entire family and allows kids and adults to experience a snow-filled day without leaving Southern California! Winter Wonderfest is closed December 18-21 and Christmas Day. GIVEAWAY! Enter to win 4 tickets to Winter Wonderfest at Discovery Cube OC. Enter to win by leaving a comment on our Facebook post or in the comments below. We will pick one random winner on December 14th. Good Luck! We entered the gingerbread contest and would love to see our work and play! Looks like a wonderful & fun place to experience winter wonderland. We want to check this out!! My kids would love to go! My kids would love the Winter Wonderfest!! 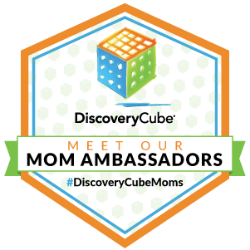 We’ve been going to the Dicsocvery cube ever since they were in preschool! Any gift like this is mych sppreciated at this time ! I hope we have luck!!! My kids love the snow and they will be really happy to go!! Hope we can win! Discovery Cube and Winterfest are great!